With all the debates on Metro's governance, funding, and delays, we can sometimes forget that Metro can also be cool-looking. This time-lapse video was put together by Benjamin Carver as part of a longer video from the Department of Homeland Security on securing surface transportation. 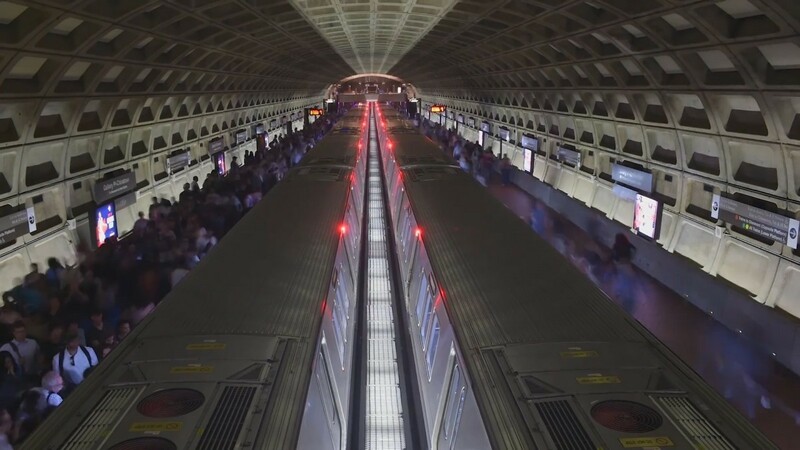 It features footage from the Woodley Park and Gallery Place-Chinatown stations as well as Union Station, and was all shot in a single day. Anything you notice watching a sped-up Metro? If you are at the West Hyattsville Metrorail station and head north on the Green Line, what is the next station you will reach? Feel free to ignore station subtitles.